Take your pick at Team TnT’s Red Force as the journey continues in the Land of Mandela. Team TnT are making their first trip to South Africa after missing the second Championship finishing third in CT20 back in 2010. The Red Force has developed an impressive record on their two previous visits to India, reaching the final in 2009 and completing a creditable group phase performance in 2011. As much as the Champions League have been a gracious blessing for cricket in the Caribbean more so in the Twin island republic it has come with its losses. In 2009 TnT played unbeaten till finals day when New South Wales were crown the inaugural Champions League winners. The Trini’s run in 2009 propelled Kieron Pollard and Dwayne Bravo into the IPL spotlight with both benefiting from lucrative contracts on the Indian circuit. 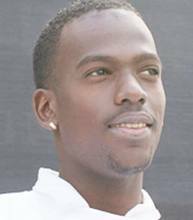 TnT again qualified for CLT20 in 2011 after missing South Africa in 2010, with both Pollard and Bravo playing for their IPL contingents. Red Force losing two very valuable players, which showed at crucial times in 2011. Without the big all-rounders, Team TnT unearthed a star in Sunil Narine, as he spun webs around the Champions League batsmen, benefit TNT 2011. A year later Narine has joined Pollard and Bravo on the IPL trail after an outstanding campaign on the sub-continent. Narine too will not be wearing red in South Africa CLT20 2012, TNT’s curse 2011. Nevertheless Ramdin’s men will be brewing with confident when they line up against Hampshire and UvaNext in the qualifying stages of CLT20 2012. The likes of Lendl Simmons, IPL’s Kevon Cooper, and leg spinner Samuel Badree, will be vital to TNT’s hopes of advancing to the main stage and beyond. There is no surprise that former captain Ganga merely missed selection, as a true pioneer of the game has passed his time at least in the shortest version. Likewise Dave Mohammed, remains a fallen angel far from his animated celebrations of CLT20 2009, as he too will be looking on from the LED screen. Newcomers to CLT20 Evin Lewis and Yannick Ottley have earned their selections rising from a list of very competitive athletes. Williams Perkins makes his return to the squad alongside Navin Stewart, both having missed out on Caribbean T20 earlier in the year. The team is completed by seasoned campaigners all of who made the last trip to India; Darren Bravo, Jason Mohammed, Sherwin Ganga, Rayad Emrit, Ravi Rampaul, Adrian Barath and Shannon Gabriel. With only two qualifying spots up for grabs the Men of the Land of Soca/Chutney fever will be keen to take care of business against their English and Sri Lankan counterparts as they look to advance to the main event. October 10th 17:30 GMT, 13:30 ECT/EST Trinidad and Tobago and Hampshire. October 11th 13:30 GMT, 9:30 ECT/EST Trinidad and Tobago and Uva Next. This entry was posted in Team Predictor, velloPoll and tagged Champions League T20, Evin Lewis, Kevon Cooper, Navin Stewart, Rayad Emrit, Red Force, Shannon Gabriel, South Africa, Trinidad and Tobago, William Perkins, Yannick Ottley. Bookmark the permalink.